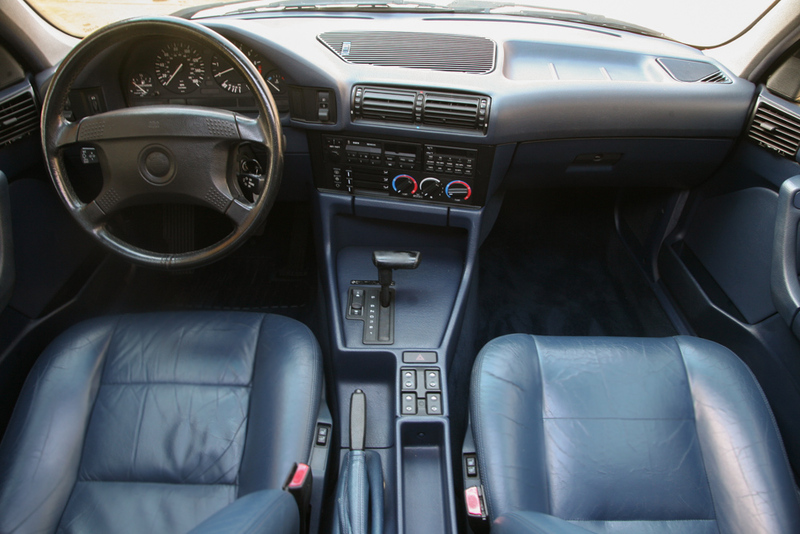 The BMW E34 5-series was a large luxury family car from BMW, available as a sedan or wagon (estate). We don't see the wagon versions very often on the road anymore, but they offer a surprising amount of room for the kids/gear/junk while maintaining the classic BMW luxury, handling and performance. 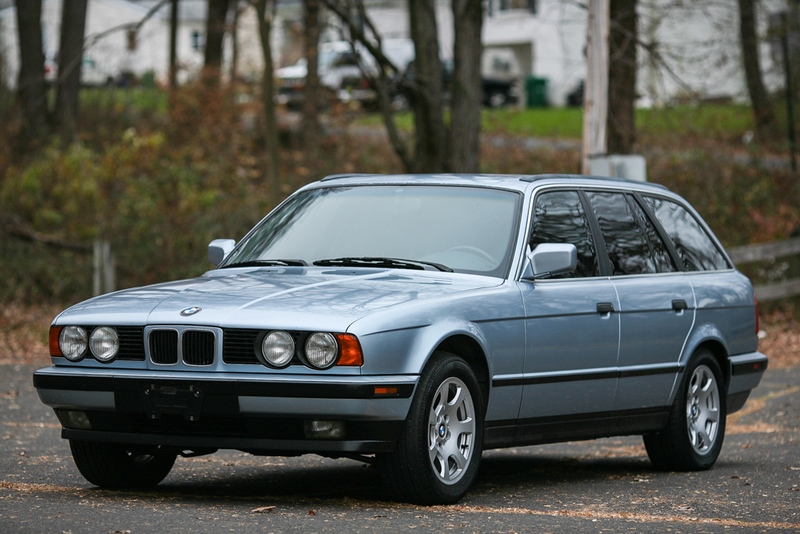 This 1992 BMW 525i E34 wagon is for sale in Feasterville-Trevose, PA offered for $7,950 or-best-offer via ebay. Big thanks to tip from Oldsmobuick. This particular E34 is in very nice cosmetic shape, or has been photographed by a genius. It looks fabulous in the images provided. 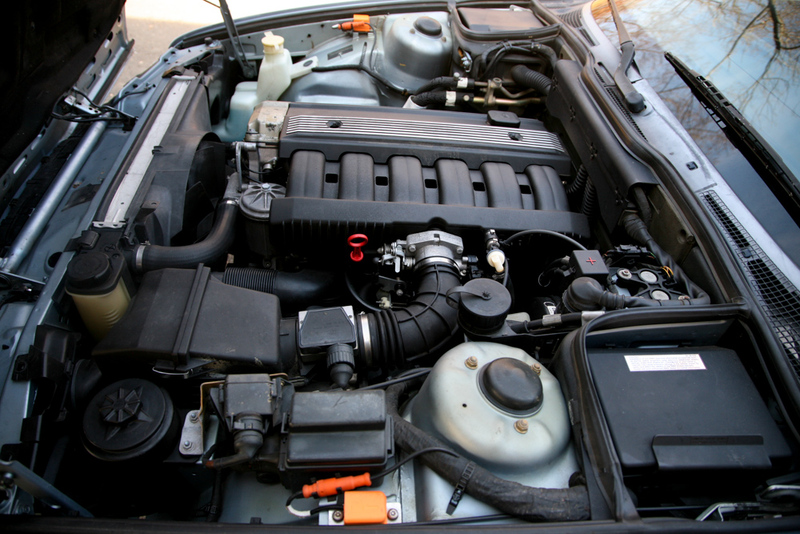 The 525i is powered by the M50B25, the same inline 6 that powers the E36 325i, and puts out 189 horsepower at the flywheel. These engines are very smooth and pull hard, feeling more powerful than the on-paper specs would suggest. BMW didn't sell many wagons with manual transmissions for the US market, and this one is predictably equipped with an automatic. But swapping a 5 spd into this car would just be a matter of sourcing the correct junkyard parts and wouldn't require any custom fabrication. We say give it a try, what's the worst that could happen? You'd end up with a much more involving drive at the least. ~ one of the prettiest wagons ever and the double sunroof of the BMW 525iT is the coolest. if only there were $8 grand in the petty cash account. Actually there were no N.A. E34 Tourings (wagon) that were 5 spd. Yes, you are correct the US spec e34 wagons never came with a 5spd - and it is possible that BMW never sold a 5spd wagon in any model...does anyone know of a US spec BMW wagon with 5spd when new? ~ there were few enough 5 series cars with manual shift to make the parts worth scavenging if found. the same seems true with Volvo M-47 true 5-speed manual. The slightly smaller 3 series E36 and E46 wagons were available with 5 spds, but very few sold. 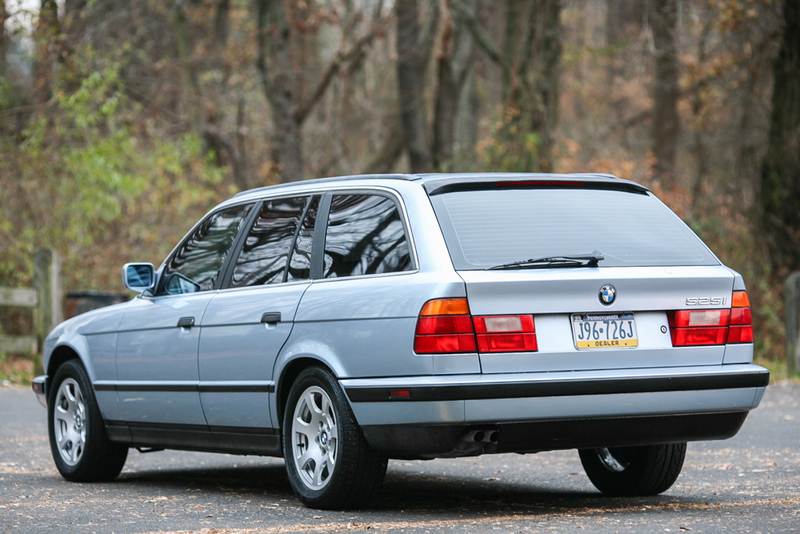 The E39 touring's were available with 5/6 spds, depending on model. I own a late '95 525iT that I bought for my wife as a DD, but now that she is getting a new one, I plan on transplanting a M3 motor with a 5spd, and retaining it for me. If you drove your kids to school in this they would take them off the free luch program. In my search for 5 series wagons I've run into a couple of manual trans. Most junk hauling services will be familiar and equipped to handle large loads so don't worry if you have lots of items to remove. No amount of junk is too much for a good junk removal service.